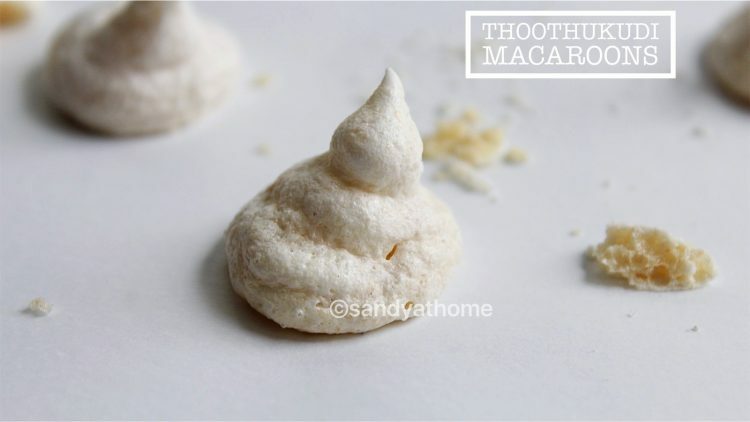 Thootukudi macaroons/ Tuticorin macaroons are delicious sweet treat/ snack that are usually white/ ivory in color and cone shaped. 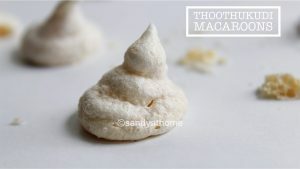 These macaroons are one such variety that are popularly prepared in thoothukudi a town in the state of Tamil Nadu. These Indian macaroons are very light, airy, sweet and are crispy on the outside with flavors and taste of cashew. 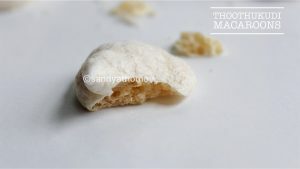 The combination of sugar, cashews and egg whites make this macaroon super delish and addictive. 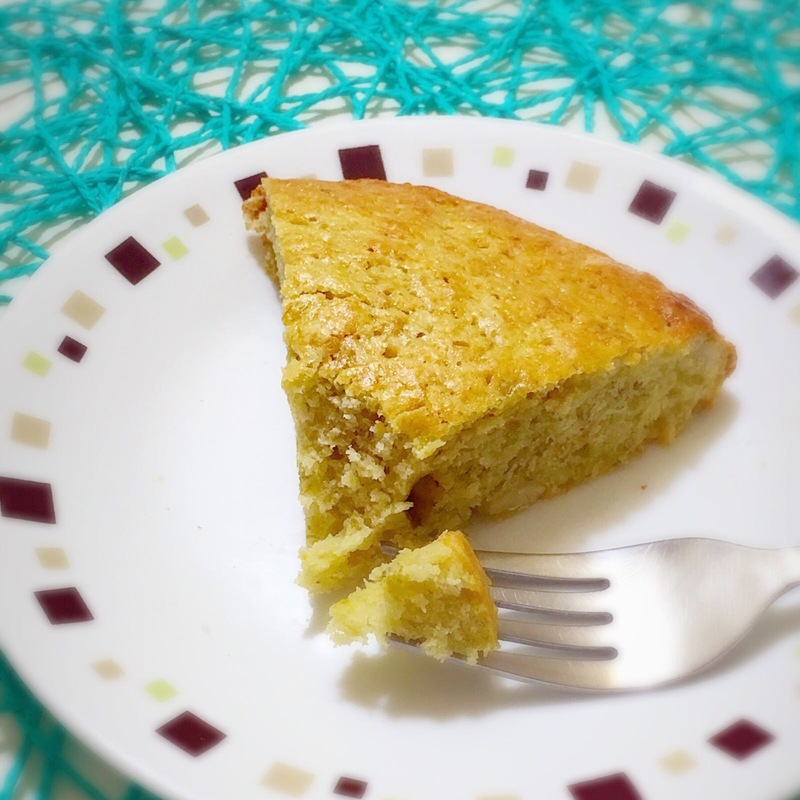 Yes just 3 ingredient that is something easily available at home but the technique and preparing it right makes this recipe an outstanding one and so the taste. So if you have all three then you get perfect macaroons. All you need is patience to get ot right and if you are lucky you can get it right the very first time. So lets get to the making! 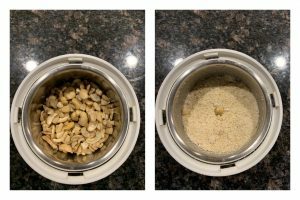 In a blender add cashews and grind it corse not completely powder not chunky, a stage in between two. Keep this aside. In a wide bowl add egg whites. Separate egg yolks and whites. Discard or use egg yolks for any other recipe. Make sure that the egg whites don’t have even a tiny drop of yolk in it as it can spoil the output. Now set the hand blender in 3 and beat the egg whites. While beating egg whites gradually add sugar in equal intervals. 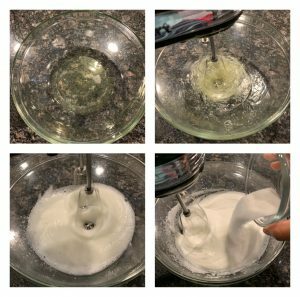 Beating egg whites properly is one of the key steps to get macaroons right. Beat it for 8 to 11 minutes until you see peaks as in the collage. 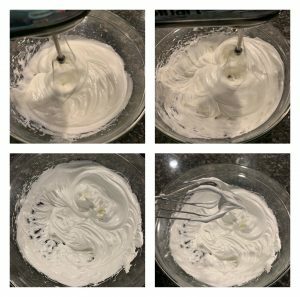 When you remove the hand blender from the beaten egg whites you see two cone/ tomb shaped like structures of beaten egg whites, this is when you understand that your mixture is perfect and you should be quick after this step. Now add ground cashew powder to it and gently mix it not too harsh as the consistency will change. Incorporate it slowly. Make sure you don’t loose the fluffiness of the mixture. Now transfer this mixture gently to piping bag. 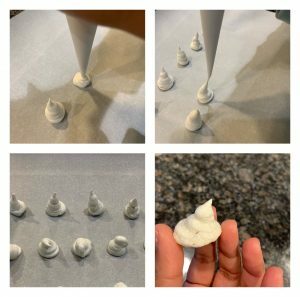 Now cut the piping bag or place star/ round shaped nozzle. Now start making cone shaped macaroons. When you are done allow this to stay for 30 minutes outside. (I personally felt that keeping the these macaroons for 30 minutes to 1 hour helps it to hold the its shape and wont melt away while baking) After 30 minutes preheat oven at 120C / 248F. Place the tray in the preheated oven. Bake for 1:30 minutes. After it is baked it leave it in the oven for 3 hours to achieve crispy macaroons. After 4:30 hours remove it from the oven and serve it. Store the remaining macaroons in air tight container. In a blender add cashews and grind it coarse not completely powder not chunky, a stage in between two. Keep this aside. Now set the hand blender in 3 and beat the egg whites. While beating egg whites gradually add sugar in equal intervals. 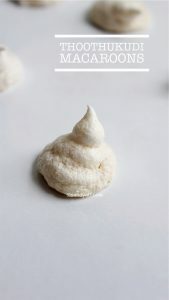 Beating egg whites properly is one of the key steps to get macaroons right. Beat it for 8 to 11 minutes until you see peaks as in the collage. 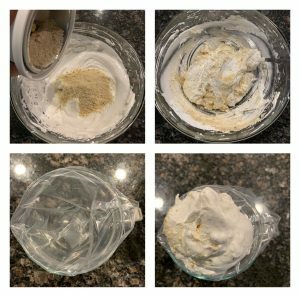 When you remove the hand blender from the beaten egg whites you see two cone/ tomb shaped like structures of beaten egg whites, this is when you understand that your mixture is perfect and you should be quick after this step. Now add ground cashew powder to it and gently mix it, not too harsh as the consistency will change. Incorporate it slowly. Make sure you don’t loose the fluffiness of the mixture. Now transfer this mixture gently to piping bag. Now cut the piping bag/ parchment paper/ ziploc bag. Now start making cone shaped macaroons. When you are done allow this to stay for 30 minutes outside. (I personally felt that keeping the these macaroons for 30 minutes to 1 hour helps it to hold the its shape and wont melt away while baking) After 30 minutes preheat oven at 120C / 248F. Place the tray in the preheated oven. Bake for 1:30 minutes. Never open the door when its baking as the temperature will be lost. After it is baked it open the oven to check if its baked, if the bottom of the macaroon sticks to the wax paper bake it for some time, if the the macaroon come out clean switch off the oven and leave it in the oven for 3 hours to achieve crispy macaroons. After 4:30 hours remove it from the oven and serve it. Store the remaining macaroons in air tight container.